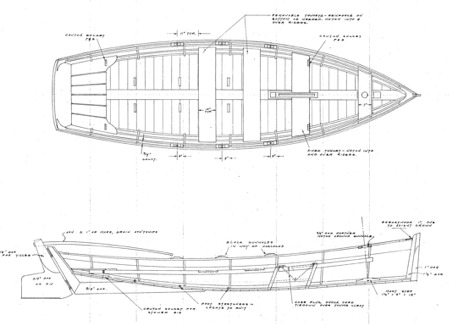 The flat-bottomed skiff can be both the most and least refined craft afloat. Popular by their ease of construction. Construction: Plywood planking over bulkhead frames. Alternative construction: Cross-planked bottom, planked sides (details included). 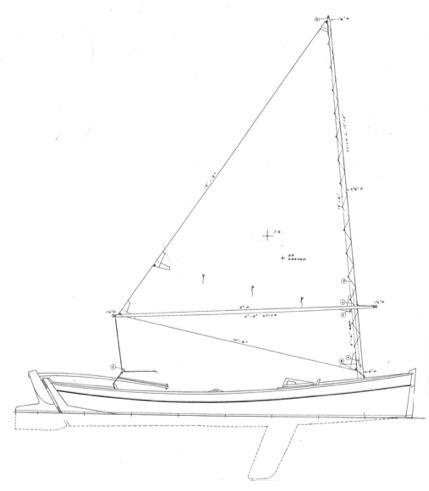 Plans include 5 sheets, and include lines, construction for plywood and cedar-planked versions, lug and leg-o’ mutton sail plans. (db up) - 10" (db down) - 2' 8"